Obituary Resume for Ted Tito Montoya Home of the Make a Free Printable Resume! Ted "Tito" Montoya was born in Hearne, TX. to the late Jesus Montoya and Susie Alva. 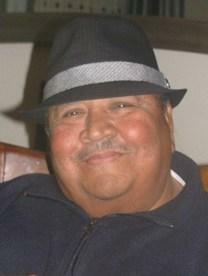 Ted entered eternal life at age 66 on Saturday March 17, 2012 at his home in Kempner, TX. He joined the Army in 1965 serving time in Vietnam, Korea, Hawaii and in the U.S. until 1985 playing the tuba for 1CAV and later became the band director for the last 14 years in the Army. During his time in service he married and had five children. Retired SFC Ted Tito Montoya was awarded many military medals and awards, but he was most proud of his Air Medal that he received while in Vietnam. Upon retiring from the Army he became a top real estate agent for Coldwell Banker later opening his own office known as Cove Real Estate. He was an agent for over 20 years. After retiring from real estate he enjoyed travel with his current wife, Leila, playing golf, fishing and spending time with his children and grandkids. While being a active member of Amazing Grace Fellowship. Ted Montoya was preceded in death by his parents, first wife, Francisca Montoya, and daughter, Emma Montoya. Ted will forever live in the heart of his loving wife of ten years, Leila Montoya. He will also be greatly missed by his children Ted G. Montoya, Susana G. Montoya and fiance Jack Hemingway III, Linda and Michael Pangelinan, Maricela Montoya, Lourdjean Go and Mandy Brajos, Lawrence and Erica Go, and son in law Michael Cabrera. His sister, Esperanza Valdivia and his beloved 16 grandchildren along with extended family and friends. We will always love you Wito. Visitation will be held on Monday, March 26, 2012 from 4-8 PM with a Rosary being recited at 7 PM at Crawford-Bowers Funeral Home of Copperas Cove. A second day of visitation, at Crawford-Bowers Funeral Home of Copperas Cove, will also be held on Tuesday March 27, 2012 from 4-8 PM with a religious celebration beginning at 6 PM. Burial will be on Wednesday, March 28, 2012 with full Military honors at Fort Sam Houston National Cemetery in San Antonio, TX.